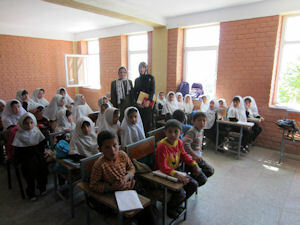 Elisabeth Wienbeck and Uwe Hoffmann travelled to Kabul again in June 2012. Again a large number of endoscopes was brought to the workshop for reppair. Some had smaller defects, others were damaged to an extent that would not have been repaired anymore in Germany. This gave Rajab Ali Ahmady the chance to learn and execute larger and more complex repairs of endoscopes. 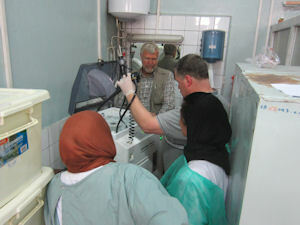 In the Rabia-e-Balkhi hospital a washing machine for endoscopes had been sitting around for more than a year. No one was able to se it up for operation. Together with Brother Schorsch (GMS), Uwe Hoffmann took care of the necessary installation, which was highly appreciated by the local doctors. They had been very concerned about health hazards caused by the handling of desinfectants when manually washing the endoscopes. The Foundation expresses special thanks to Uwe Hoffmann for his voluntary support. 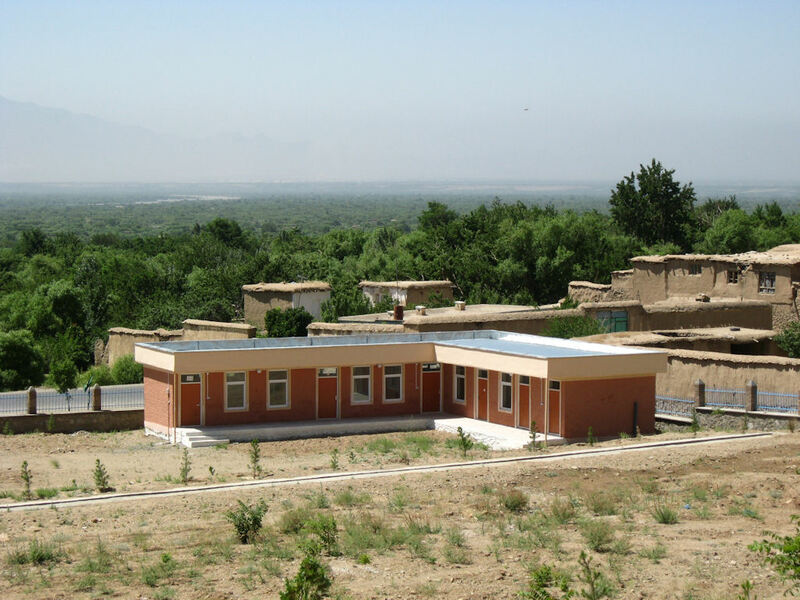 His skill and his commitment made the repair of endoscopes in Afghanistan possible. 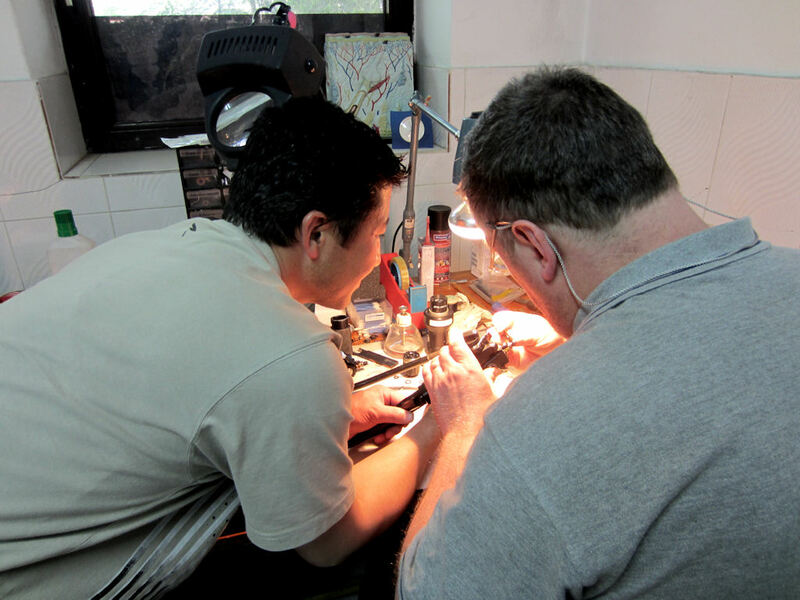 The companies Olympus, Pentax and Fujinon contributed to the success of this project by donating required spare parts. As in the previous years, Elisabeth Wienbeck visited the Girl's School in Gulbahar in the province of Parvan. 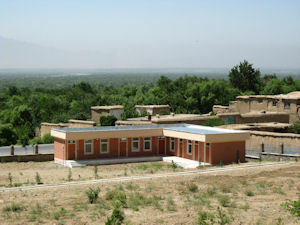 The foundation had supported the construction of a Mother-Child-Clinic on the premises of the school. Elisabeth Wienbeck is maintaining the communication between this school and a partner school in Brühl, Germany. The teacher, a widow, is a former student of the Gulbahar School. Boys are allowed to the school until the 4th grade if their way to school would be too far otherwise. The Mother-Child-Clinic, unfortunately only opend twice per week.